So along with the fabulous bird print shirt I blogged the other day I was lucky enough to be sent one of the most fabulous dresses I've owned for a very long time. The Galactic print dress from the new "Must Haves" range caught my eye the minute I saw it, the print is so striking and I love the shape of the dress. When it arrived I wasn't disappointed, the print was just as vibrant as the on the website and the material is a thick stretch cotton that is versatile for every day or evening wear. 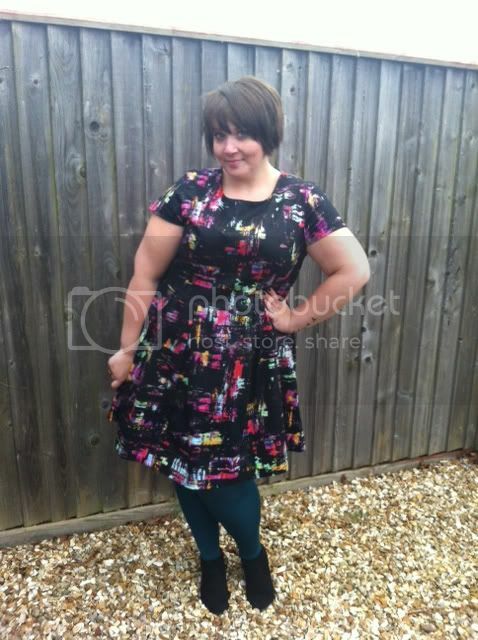 I honestly can't tell you how much I love this dress, its just so wearable, I wore it to a meeting in Leeds on Friday and a complete stranger came up to me to tell me how much she loved my dress, I was so chuffed! My only little bit of advice would be to possibly size down on the dress. I ordered my usual 22 and found it to be quite generous, I think I could have easily got away with a 20. 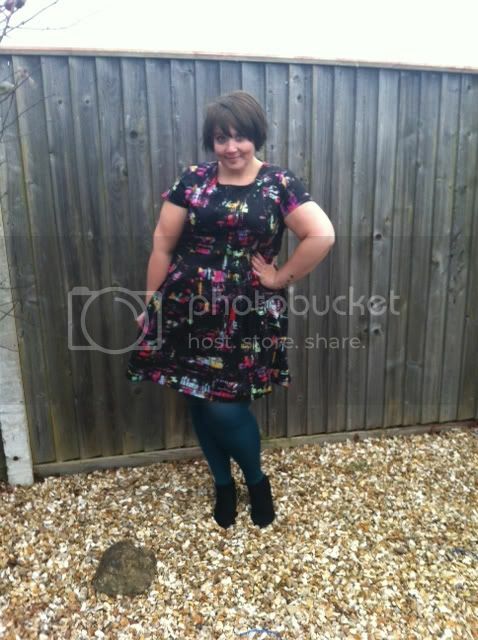 I've just ordered this as my Christmas dress I really can't wait for it to get here! Took your advice and sized down. Im loving all the new Simply Be clothes coming in at the minute ! Ooooh, lovely! This is seriously cute! 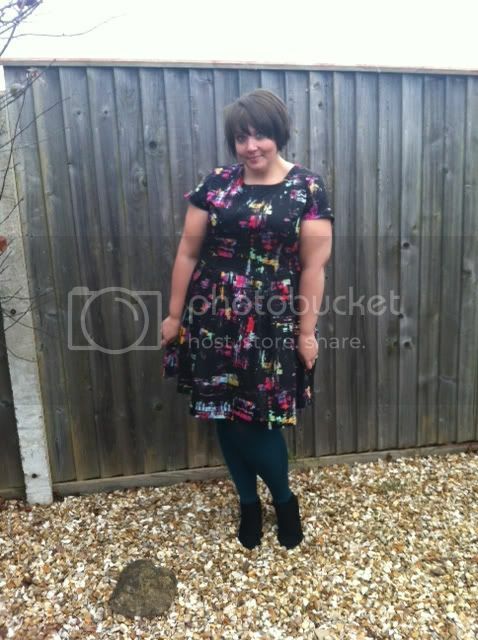 Love the shape and the print and you look fab in it! That's brilliant Kay, I bet youll look a knock out in it x x.